While enjoying a hike along Bodega Ridge, Galiano Island on June 2nd, we came across this flower in a gravely patch close to a magnificent stand of Manzanitas. 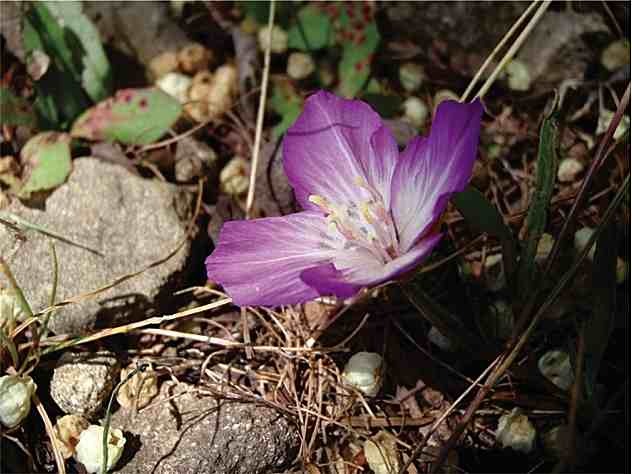 We have tentatively identified it as a variant of Clarkia amoena also known as Farewell-to-spring. If somebody else can verify this, or make another suggestion, it would be appreciated. Email Louise Beinhauer at lbeinhau(use the @ sign)telus.net.